I’ll admit that I could not resist the hype surrounding the Burj Al Arab, otherwise known as the world’s only 7 star hotel. To be fair, I actually did resist it once (on our previous visit to Dubai), but twice was just too much for my curious nature. 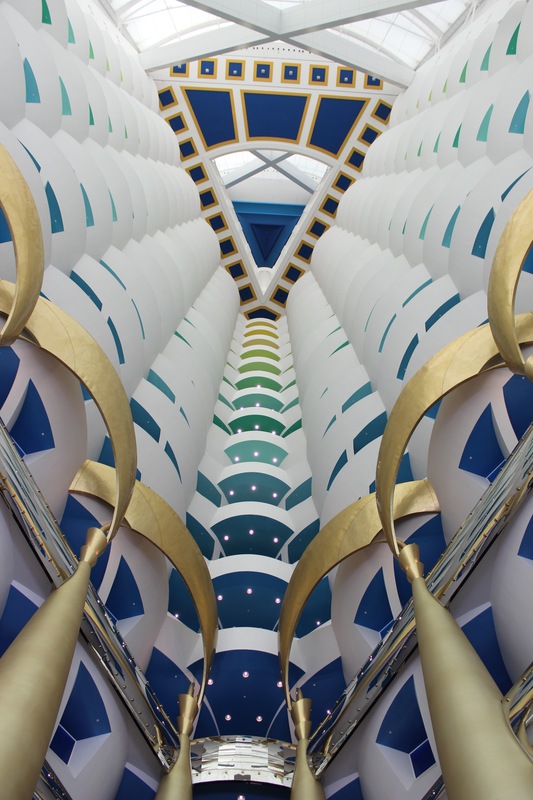 After visiting the Burj Al Arab for a cocktail during a previous visit to Dubai, I was even more intrigued than ever as to whether there was any substance to the outlandish claims that the Burj Al Arab is the world’s most luxurious hotel. I was not particularly blown away by the Burj Al Arab during our brief visit the previous year to have a cocktail at the Gold on 27 bar. Sure, the lobby was gorgeous but Ive seen lots of amazing hotel lobbies. The Venetian hotel in Las Vegas has pretty convincing Venetian gondola rides for god’s sake! 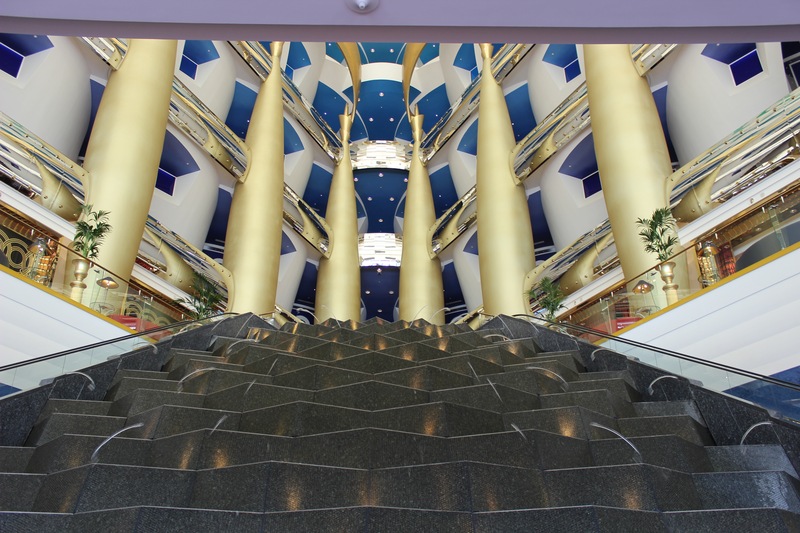 Here are a few pictures of the stunning Burj Al Arab Lobby. 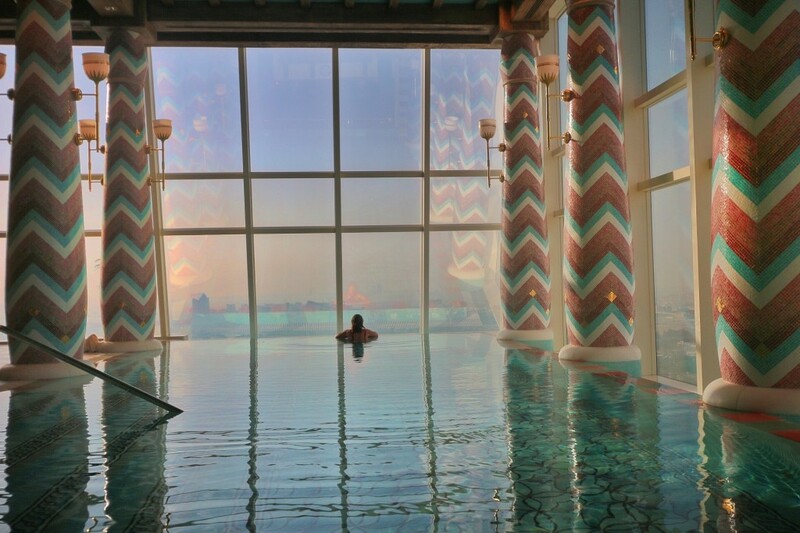 I also read about other bloggers who almost pulled the plug on trying out the Burj Al Arab, but let their “better sense” kick in and stay at the Park Hyatt or any other hotel that accepts hotel rewards points. To make themselves feel better about not actually trying it themselves, they quoted a few reviews that said the Burj Al Arab is more style than substance. To be honest, I expected to agree with them. I went into this whole deal with a “this will never meet my expectations” attitude. Don’t ask me why I like to set myself up for disappointment, because that is a whole different conversation! 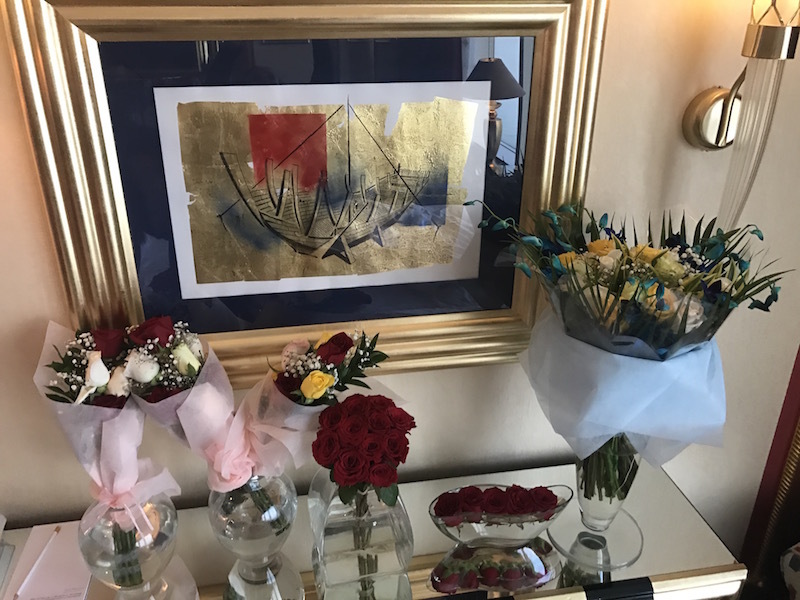 I am sure that my husband would love to sit and chat about it for a while, but lets get to the meat and bones of our experience at the Burj Al Arab hotel. First and foremost, I did NOT receive any “blogger” deal at the Burj Al Arab. I paid the big bucks like everyone else. The only “deal” that I received was through my AMEX Platinum credit card which offers a room upgrade based on availability, free breakfast, and a couples massage. I didn’t get the room upgrade, and my husband hates massages. With that being said, they did place us on a high floor (don’t think that actually replaces a room upgrade), and they allowed me to substitute the couples massage for a longer solo massage. Well, I actually was treated special, but so is everyone who stays at the Burj Al Arab! 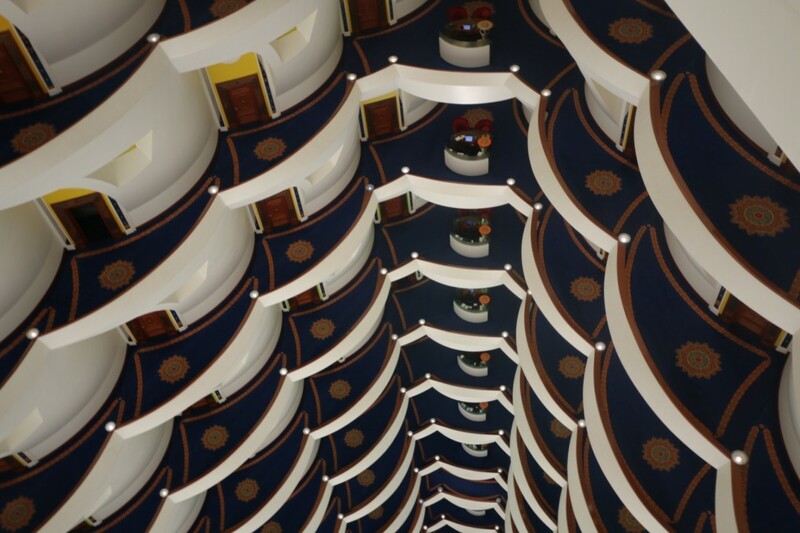 The difference in the Burj Al Arab and your run of the mill 5 star hotel is in the details. 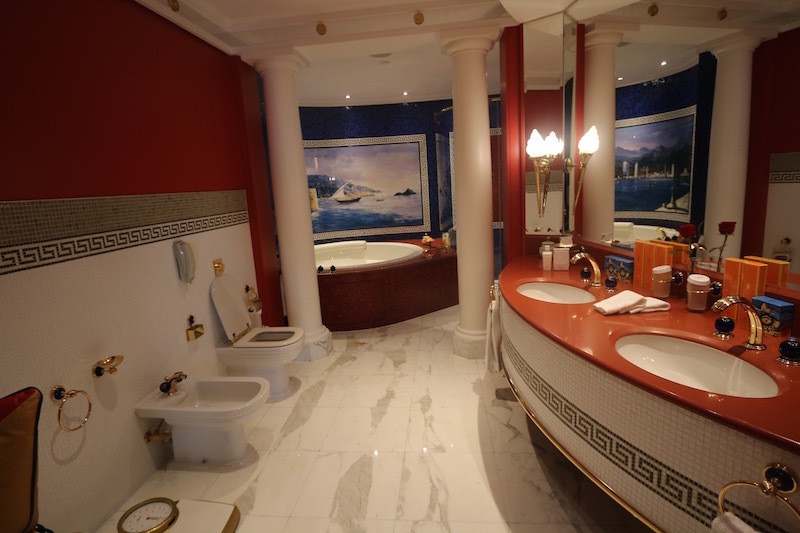 Every suite at the Burj Al Arab comes with 24 hour butler service. 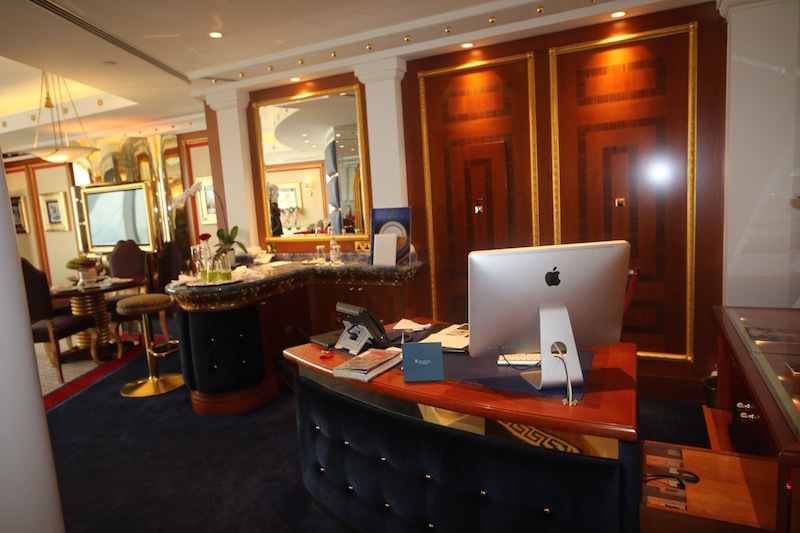 The butlers have a desk on every floor of the Burj Al Arab as you can see from this photo. I read somewhere in a review that a guest said the Burj Al Arab Butlers were an enigma to them, because they did not see them often. 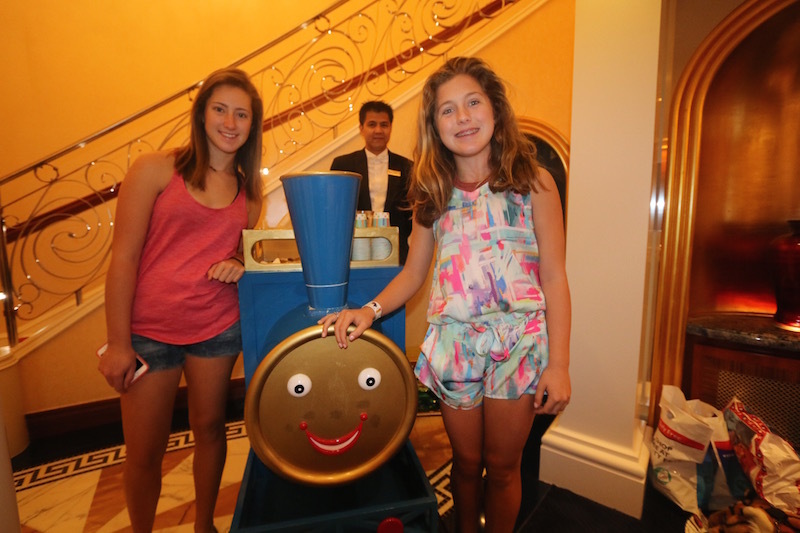 I don’t see how we stayed at the same hotel, because our Burj Al Arab Butler wouldn’t even let us press the elevator button. Our Butler made our dinner reservations, escorted us to the elevator, and even walked us to the restaurant. If I wanted a diet coke, for example, the butler was the one to handle it. I was especially impressed when the Butler offered to handle our departure flight details. Not only did the Butler check us in for our Emirates flight, he also printed our tickets, and arranged the Chaffeur service on our behalf. You can actually see the Butler numerous instances in our Dubai and Burj Al Arab video! 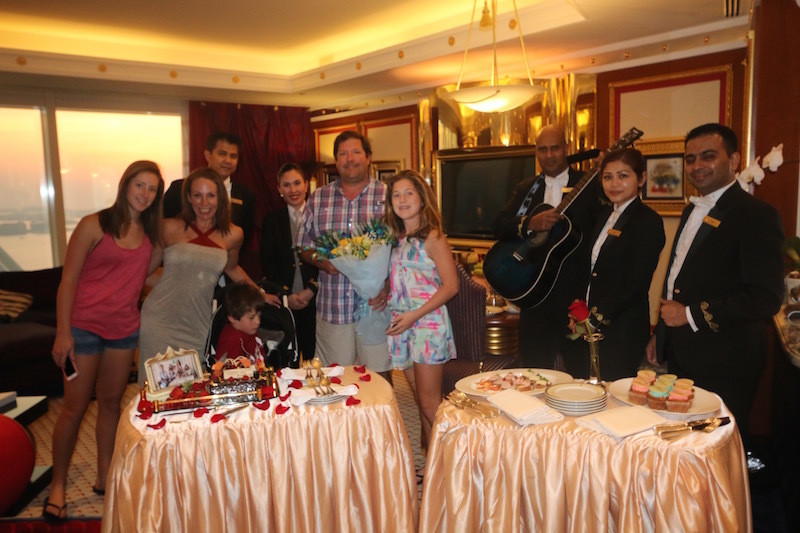 The Butler also arranged a birthday celebration in our suite for my husband, complete with a guitar player! 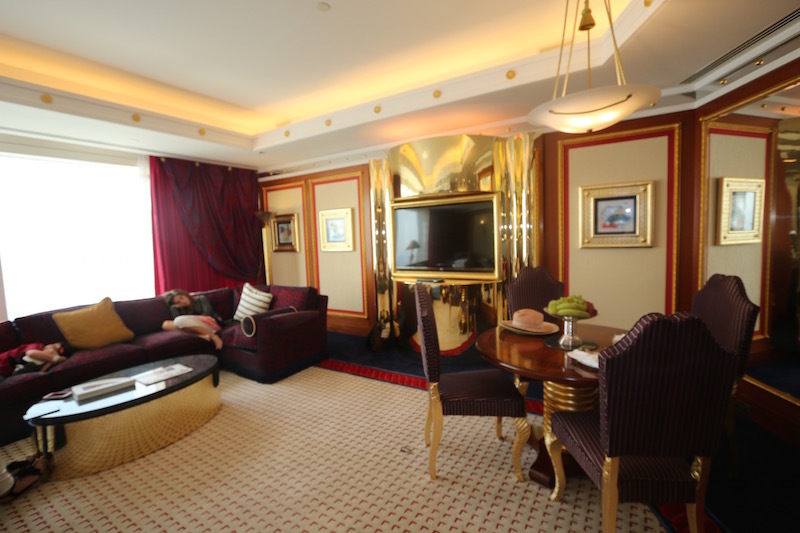 Speaking of the suite, its freaking huge! 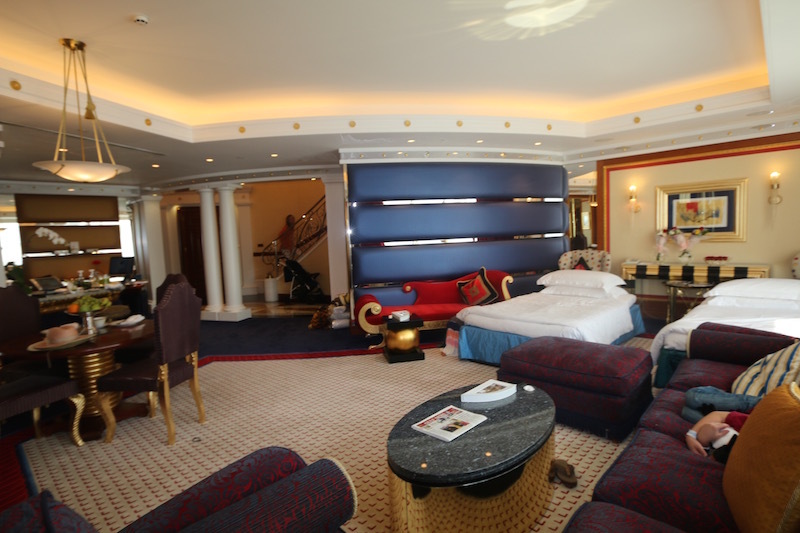 We had the lowest level suite at the Burj Al Arab, and it was 2 stories and over 1800 square feet. 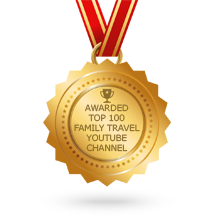 The sheer size of the suite made the hotel a good value for our family of 5. Anywhere else, we would have had to book 2 rooms. 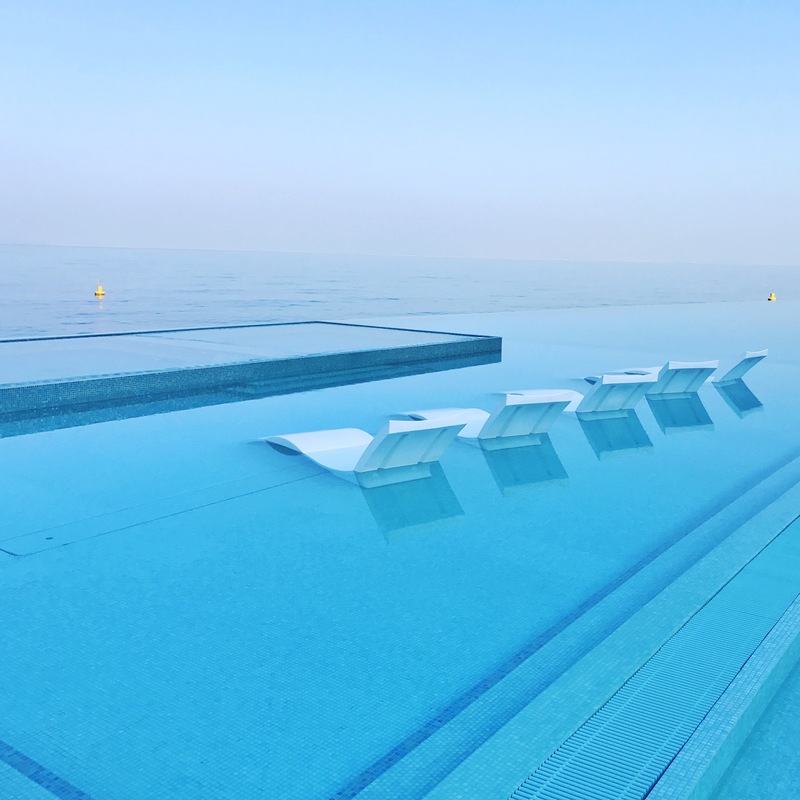 Also, there was an amazing outdoor pool terrace overlooking the Arabian Gulf. Unfortunately, we did not get to spend much time there. 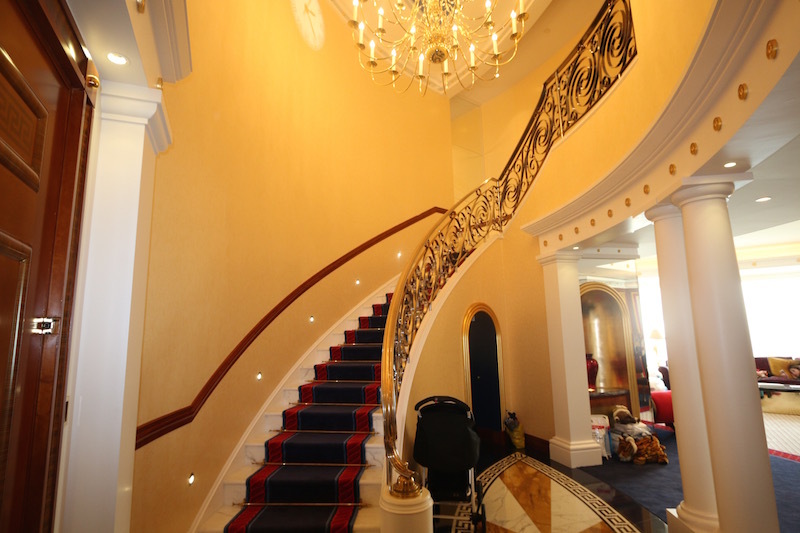 As I mentioned earlier, the 7th star at the Burj Al Arab is in the details. Ive never received so many bouquets of fresh flowers in my entire life. Nor have I received so many Herme’s products! 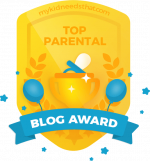 This was just for myself as there were products for my husband and even the children! Every evening, the Butler would bring canapes and cocktails for the adults. Meanwhile, the Tonka Train came by to deliver treats for the children. As you can see, the Burj Al Arab offers far more than what one would get while staying at a Ritz Carlton or even a Four Seasons. 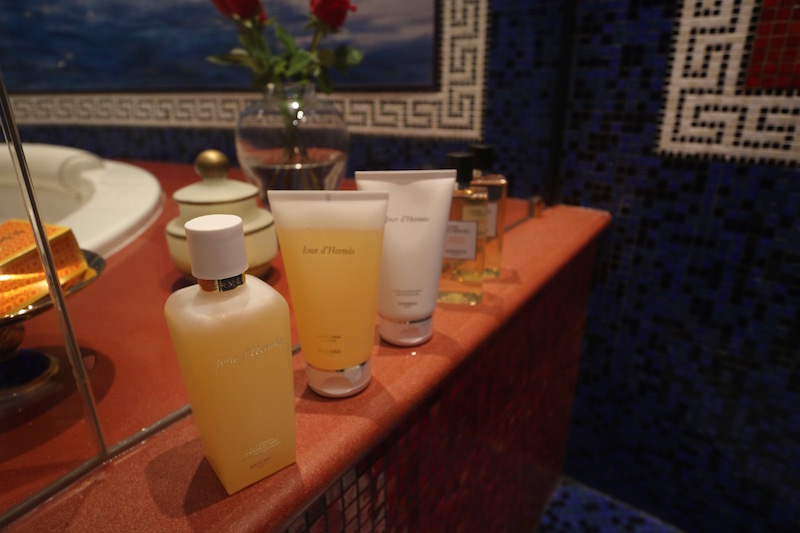 The 7th star is in all the additional services in amenities that the Burj Al Arab offers, and I think its totally worth it!